As Qualcomm continues to move its SoCs to 64-bit ARMv8 based cores, there's still demand for high-performance 32-bit solutions today. We're still some months away from Snapdragon 805 showing up in devices, but the next generation of Android flagships is getting ready for announcement at MWC this week. To satiate the needs of its high end customers, Qualcomm is shipping a higher clocked variant of the MSM8974/Snapdragon 800 called the Snapdragon 801 (MSM8974AC). Max CPU frequencies go up by around 8%. I put Qualcomm's official numbers in parantheses next to the numbers that are usually quoted for these parts in marketing materials. Max GPU frequency goes up by a substantial 28%, and the peak theoretical memory bandwidth goes up by 16%. Given that most mobile GPU benchmarks tend to be shader rather than memory bandwidth bound, Snapdragon 801 should do quite well in the usual metrics. Moving to eMMC 5.0 enables support for up to a 400MB/s interface, which we'll see used by new eMMC solutions like the latest iNAND Extreme from SanDisk. The Snapdragon 801 retains a similar MDM9x25 derived modem IP block with support for Category 4 LTE, while adding support for DS-DA (dual-sim, dual-active). 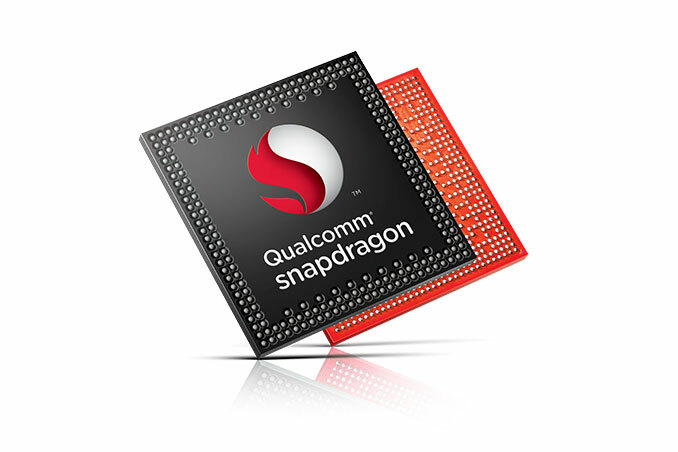 You should expect to see the Snapdragon 801 used many of the major flagship smartphones announced at MWC this week. You have a very tiny typo! "Qualcomm is shipping a higher clocked variant of the MSM8974/Snapdragon 800 called the Snapdragon 801 (MSM8794AC)"
801 looks good. the DS-DA is very important. I live in the Sonora Desert... as in Sonora, Mexico and Arizona, USA. I conduct business in both countries, therefore have two pone numbers. I'm always doing the SIM swapping thing at the Nogales SON/AZ border crossing. Having both chips in the same phone would be glorious! No missed calls either (roaming chargers are worth it as I'd rather not miss a call!). Adopting the EmmC 5.0 interface is good as well. Nokia has announced that the 1520 will be available with 32GB of Storage son (plus the microSD). I wonder if they've been waiting for the new interface to make that change? Will we see the 801/805 in an upcoming rework of the 1520? Dual Simm capable phone 1520 would be incredible. Microsoft is going to be supporting Dual Simm capability with Windows Phone 8.1 soon.